Features -DIYers can assemble your own multi-rotor aircrafts with this arm clamps, it suit for not only small size entertainment purpose multi-rotor, but also large scale commercial aerial photography multi-rotor aircrafts. -New design makes it lighter in weight. 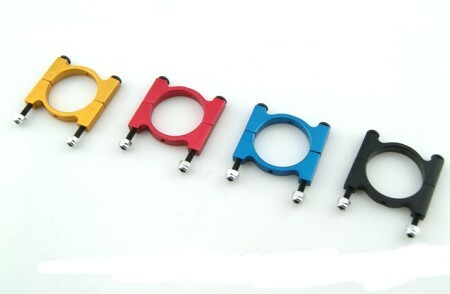 -25MM,22MM,20MM,16MM,15MM,14MM,12MM Multi-rotor the CNC aluminum Boom clip 5 clamp each. Ask for the size you need. 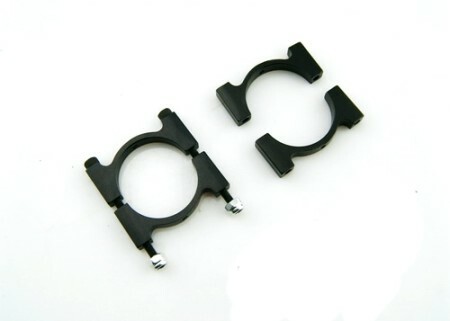 Product Details D25mm CNC Super Light Multi-rotor Arm Clamps/Tube Clamps - Black Suit for tube diameter: 25mm Screw diameter: Φ2.5mm (12.9 class high strength) Screw length: 38mm Weight: 8.8g each (including screw and nut) -12mm aluminum tubes folder: Each 2g, four-axis 16 sets = 32g, six-axis 24 sets = 48g; -14mm aluminum tubes folder: Each set of 16 sets = 80g 5g, four-axis, six-axis 24 sets = 120g; -15mm aluminum tubes folder: Each 4.8g, four-axis 16 sets = 76.8g, six-axis 24 sets = 115.2g; -16mm aluminum tubes folder: Each 4.7g, four-axis 16 sets = 75g, six-axis 24 sets = 113g; -20mm aluminum tube clip: the each set 7g, four-axis 16 sets = 112g 24 sets of six-axis = 168g; -22mm aluminum tubes folder: Each 6.6g, four-axis 16 sets = 105g, six-axis 24 sets = 158g; -25mm aluminum clip: Each 7.7g, four-axis 16 sets = 122g 24 sets of six-axis = 185g; Four axes: 2X4 = 8 sets of the fixed fuselage center board, need 2x4 = 8 sets of fixed motor base, that is a set of four-axis rack requires a total of 16 sets of aluminum mounting base. 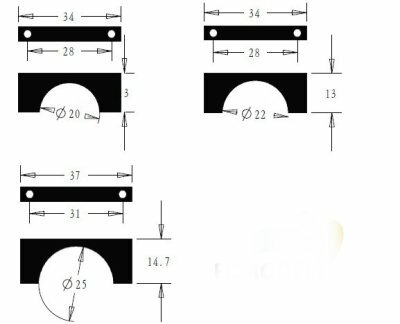 Six-axis: the corresponding six-axis (2 +2) x6 = 24; If the assembly is a three-axis up and down six motors, but also need 12 sets of motor mounting plate to 6 (with three); similar four-axis assembly 8 motor, 16 sets of aluminum mounts, eight motor mounting plate.